This week the Horror Duo follow Wrestlemania up with a look at another pair of films featuring professional wrestlers. 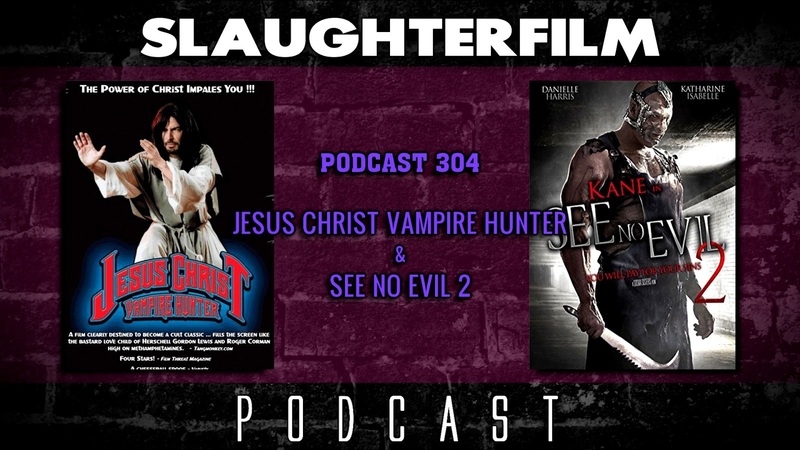 Forest shares his thoughts on the mico-budgeted horror comedy Jesus Christ Vampire Hunter. Cory, covered the original several years ago, so it's only fitting to take a look at See No Evil 2, directed by the Soska Sisters. They also chat about the highs, the lows and even the strange that was found at Wrestlemania, meeting wrestling legends Rey Mysterio, Mark Henry, Rikishi and Jack Swagger at the IWC's Night of the Superstars, and Cory joins Dr. Bork at the Steel City Con for a meet and greet with Alice Cooper and Bork's mummified orange. For more Slaughter Film news and reviews, as well as show notes and special events, make sure to visit our website; SlaughterFilm.com. 22:30 - "Jesus Christ Vampire Hunter"
43:51 - "See No Evil 2"